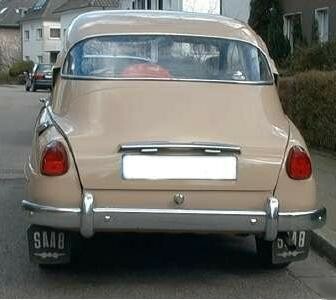 The 96 started life in the 1960 model year as a "bullnose" car with a larger rear window than the 93. 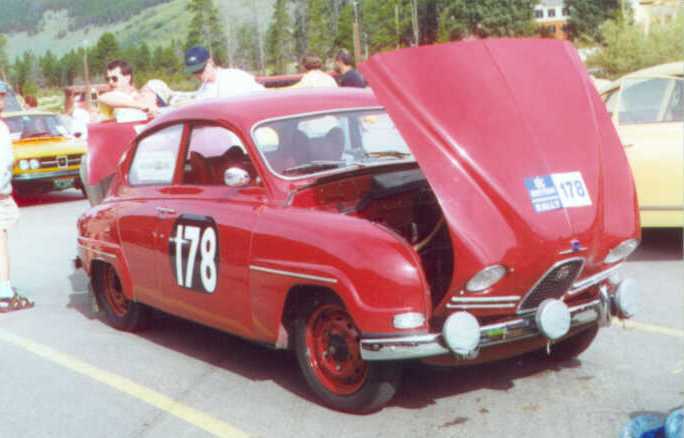 The 96 first had an 841cc, 38hp three cylinder two stroke engine and four speed transmission. 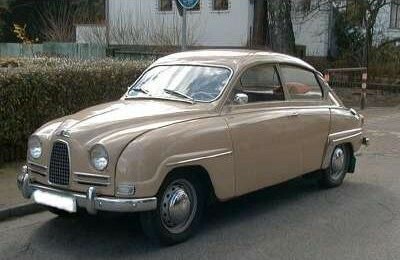 The bullnose SAABs, including the 93's, had the radiator behind the engine and were fitted with a Single Overhead Fanshaft. 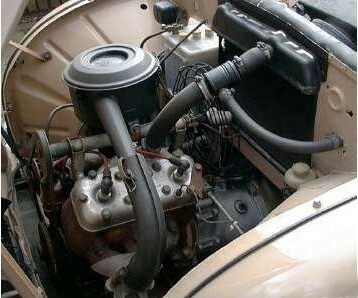 1966 saw the introduction of triple carburetors. 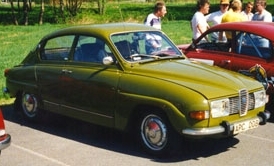 In 1967 the 96 was fitted with the 1500cc V4 engine from the 1962 Ford Taunus 12M. 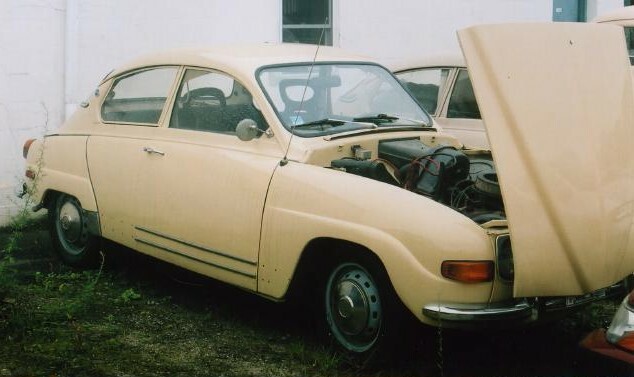 In 1968 only 28 cars were sold with the two-stroke unit, as opposed to 30,000 with the V4. 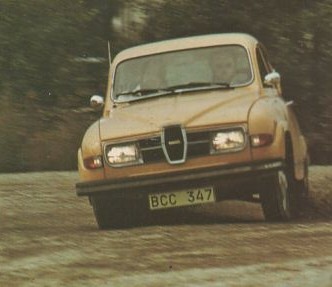 The two-stroke was subsequently dropped altogether. 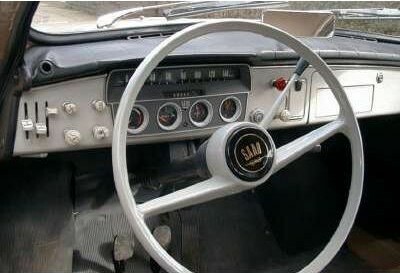 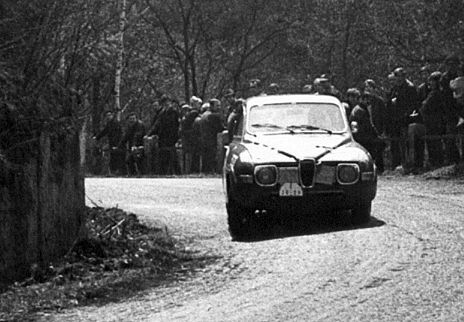 1967 Saab introduced the safety steering column. 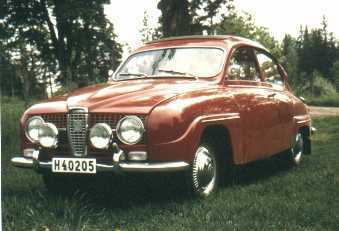 In 1962, the Granturismo 750 (known also as the GT850, the Saab Sport in Europe and Montecarlo 850 in the USA), was introduced along with safety belts as standard equipment. 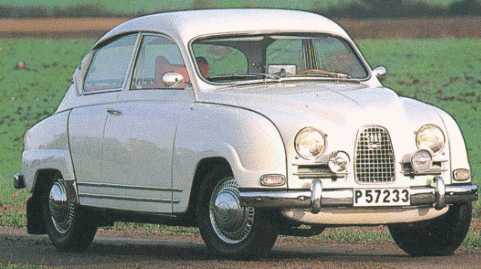 Saab produced it's 300,000th car. 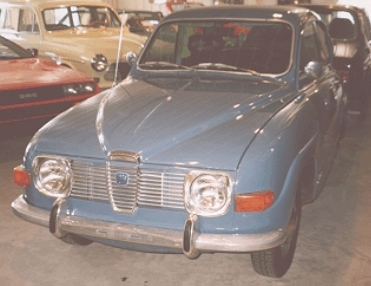 The 96 remained in production until the 1980 model year and was the basis for the 95, 97 and 98 models. 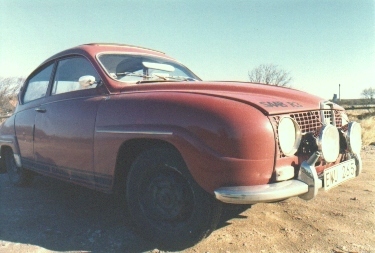 More than 547,000 were sold during its 20-year run. 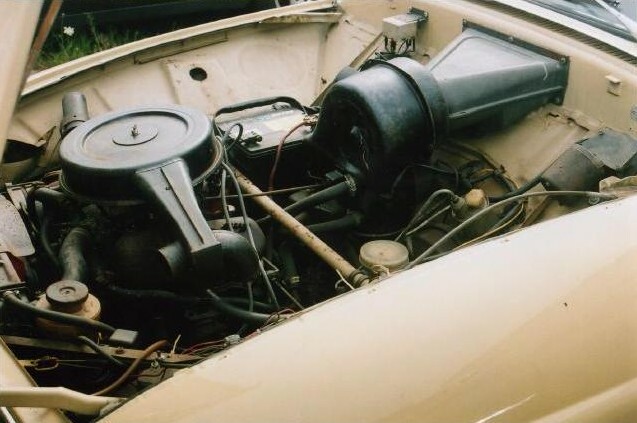 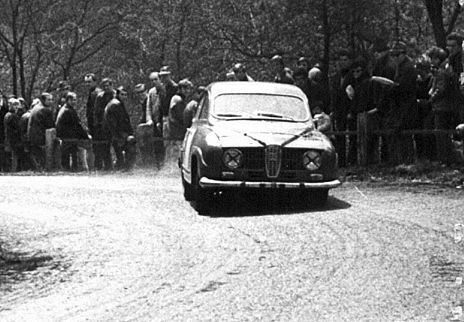 For 1965, the radiator was moved to the front and the entire car was lengthened in preparation for the new V4 engine. 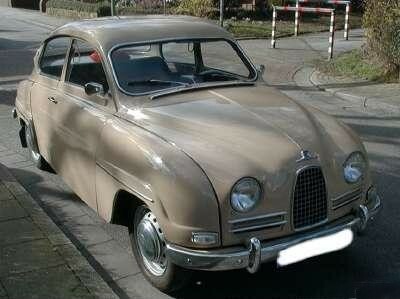 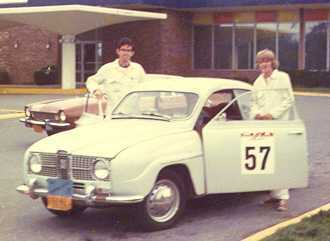 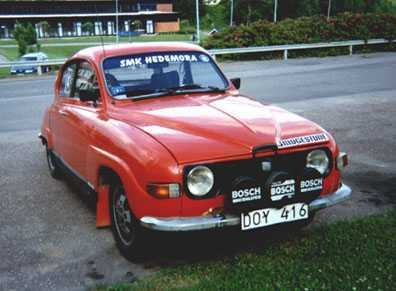 Saab introduced the 99 in 1969, and the two models were briefly available side-by-side in 1980. 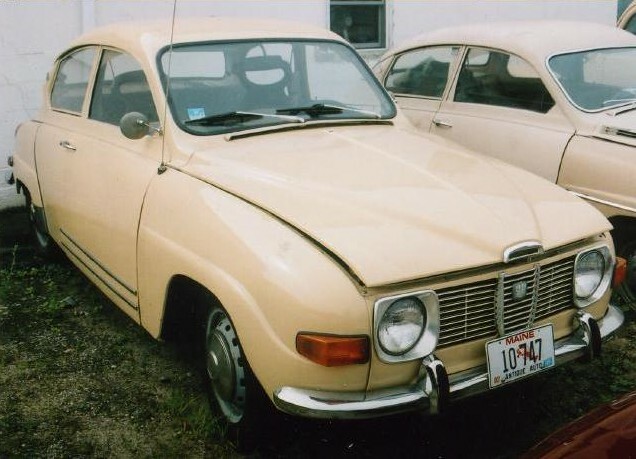 This 1970 96 came home to live in Dublin! 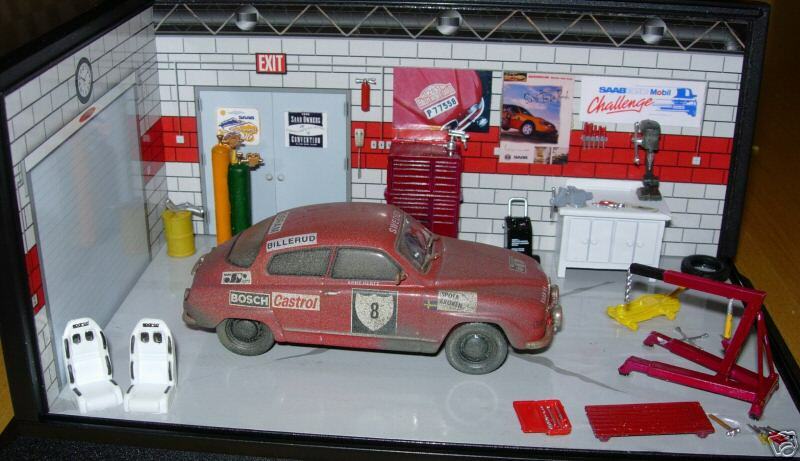 Model Identification - multiple sources - may need corrections!